If you decide what to read on the basis of whether or not it has a catchy title, you likely missed “The Efficacy of Different Mouthrinse Formulation in Reducing Oral Malodour: A Randomized Trial” in the Journal of Clinical Periodontology (presuming, of course, you’re the type who reads things like the Journal of Clinical Periodontology). 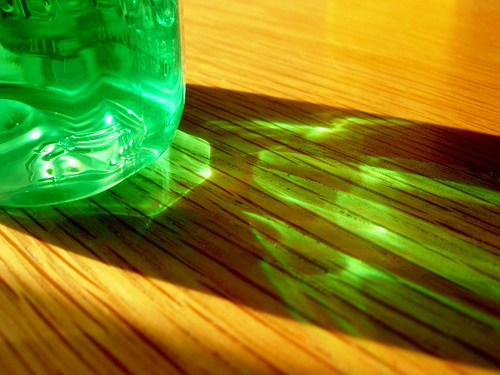 So let’s call it “How Well Do Different Mouthwashes Get Rid of Stinky Breath?” instead. The randomized, double-blind trial was small and simple: For one week, 18 participants used one of three rinses. Two products – Halita and Meridol with zinc lactate – contained at least one antimicrobial agent (Halita contains cetylpyridinium chloride and chlorhexidine in addition to the zinc). The other contained fluoride. Sulfur levels and organoleptic (“sniff test”) scores were taken twice to measure odor – once 15 minutes after their first rinse and again at the end of the week. The first took note of masking effects, while the second noted therapeutic effects. Those were the rules, but how did it turn out? All three rinses did fine with respect to immediate freshness, but only those with antimicrobials showed a therapeutic effect. They also had the most powerful masking effect. Does this mean chemical clean is the way to go? All have their downsides. Chlorhexidine and cetylpyridinium chloride tend to stain the teeth. The latter may also irritate the soft tissues of the mouth or trigger allergic reactions. Fluoride, of course, has its own problems. If the effects of natural substances on oral [pathogens] are at least as good as those of a chemical substance, why opt for the chemical? One alternative we especially like is Natural Dentist Healthy Gums Mouth Rinse. This natural mouthwash helps control periodontal disease and biofilm (plaque) build-up through its blend of cleansing and soothing botanicals including echinacea, golden seal, grapefruit seed, aloe vera gel and calendula. It contains no alcohol, artificial sweeteners, dyes or preservatives, and will not stain the teeth. For other easy ways to improve your breath, see our previous post. Comments Off on Bad Breath? Good News! 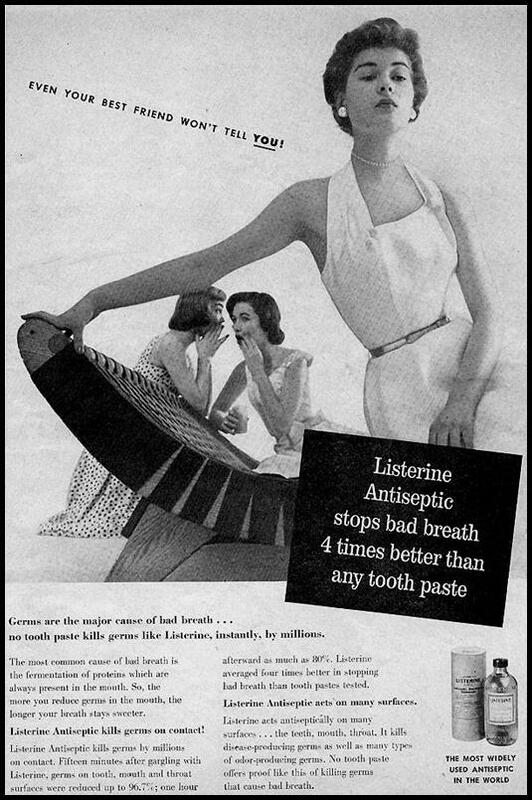 Far from inventing bad breath, Listerine ads and their imitators just made us worry enough about it to spend millions on mouthwashes, strips, sprays, mints, gum and other products to sweeten the breath. Poor or spotty home hygiene. Irregular cleaning of dentures, splints, retainers or other oral appliances. Dental problems, including dry mouth, gum disease, mouth sores and abscessed teeth. Diet – especially high-protein/low-carb, but likewise a diet dependent on processed foods containing sugars, white flour and other fermentable carbohydrates. Antihistamine or prescription drug use. Medical conditions, including gastrointestinal (stomach/gut] problems, sinus problems and cancer. Practice good oral hygiene (at minimum, brushing and flossing regularly and well). Regularly clean any oral appliances you use. See your dentist regularly, both for cleanings and to catch and deal with any small problems before they become big ones. Eat a varied and balanced diet based on whole foods, low in processed carbs. Supplement with zinc if you’re not getting enough from diet alone. Be aware that zinc deficiency can be caused by some medical conditions, in which case you should be treated by your physician, who can also oversee your diet and nutritional supplementation. If you’re in otherwise good health and thinking about taking supplements, be sure to consult a qualified health practitioner first to make sure you take the right dose and aren’t at risk for bad interactions with any medications you take (over-the-counter, prescription, homeopathic or otherwise). After eating, rinse your mouth with the juice of half a lemon mixed into a glass of water. Chew fennel or cardamom seeds after meals. Use baking soda instead of toothpaste. Add 1 to 3 drops of tea tree oil to your regular toothpaste. Use a mouth rinse that contains hydrogen peroxide (such as Peroxyl) or a solution of equal parts water and 3% hydrogen peroxide. To be safe, use the latter in the short-term only and rinse your mouth with plain water afterward to prevent dry mouth. With either rinse, if you experience any burning, tooth sensitivity or other problems, stop using the rinse and consult your dentist. Mix 1/2 tablespoon of apple cider vinegar into a glass of water and use as a gargle. If you have chronic bad breath you suspect may be due to dental problems, make an appointment with your dentist for an exam and cleaning. Likewise, if you suspect a medical issue, consult your physician about it – as you should if you suspect medications may be causing the odor. If they’re prescription meds, do not just quit taking them. Have your own favorite home remedy for bad breath? Share it in the comments!